The celebrity chef has emerged successful in her counter-claim against a disgruntled former employee, but her career may already be too damaged to repair. Paula Deen may finally be able to rest a little easier in the coming days, as the disgraced celebrity chef has emerged victorious in her court battle against a former employee claiming she was subjected to racial and sexual prejudice. The ruling federal judge at her case in Savannah, Georgia, threw out the claim against Deen and her brother Bubba Hiers by disgruntled former employee Lisa Jackson, with the judge claiming that she had no right to make the claim in the first place - because she's white. However, her claim of sexual harassment still stands and the court case is due to drag on a little longer. The chef, who recently turned down an offer to appear on the upcoming season of Dancing With The Stars, may look to be out of the woods, but she is by no means in the clear yet as she now has to clear her name in the public psyche, a task that is going to require one heck of a PR team. Since her racial case was thrown out PR gurus from across the States have concluded that despite what the courts have found, the public's mind is already made up and the die has already been cast on Deen's career. Reputation.com vice chairman Howard Bragman said (reprinted by USA Today) following the court's decision, "As I've said all along, you have to play in the court of law and you have to play in the court of public opinion. Like O.J. Simpson, who won in the court of law but lost in the court of public opinion -- Paula 's in the same situation. You can't put the toothpaste back in the tube now. It's going to be really challenging for her to piece this together." 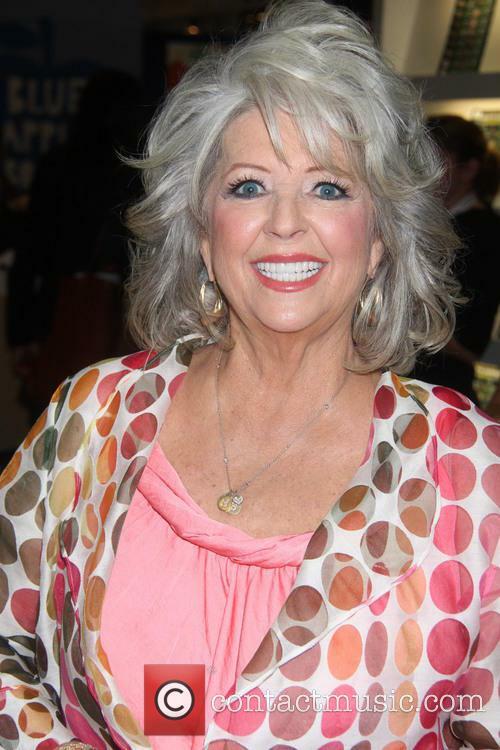 Continue reading: Paula Deen Wins Racism Lawsuit, But Is It All Over For The TV Chef Already? 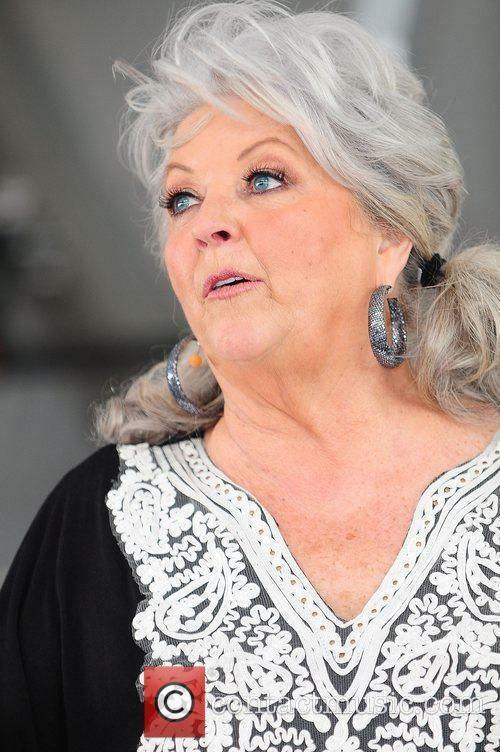 A Georgia judge has thrown out the racial discrimination case against Paula Deen. Lisa Jackson, according to the judge, was not directly affected by the use of racial language. The fact that it was used at all has been disregarded. 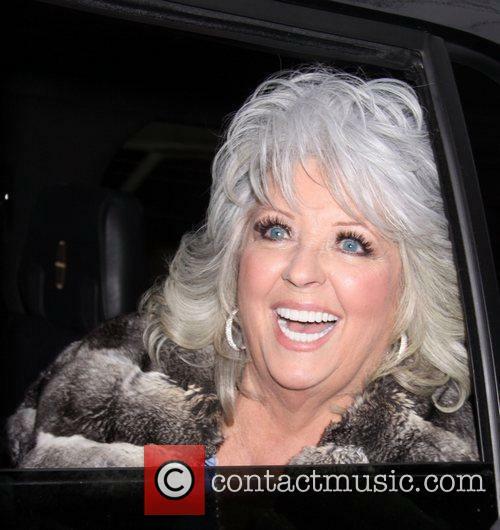 A judge ruled the lawsuit filed against Paula Deen for racial discrimination has been dismissed. Ironically, the suit first brought to light Deen's admittance to using racial slurs in the past which effectively destroyed her career. 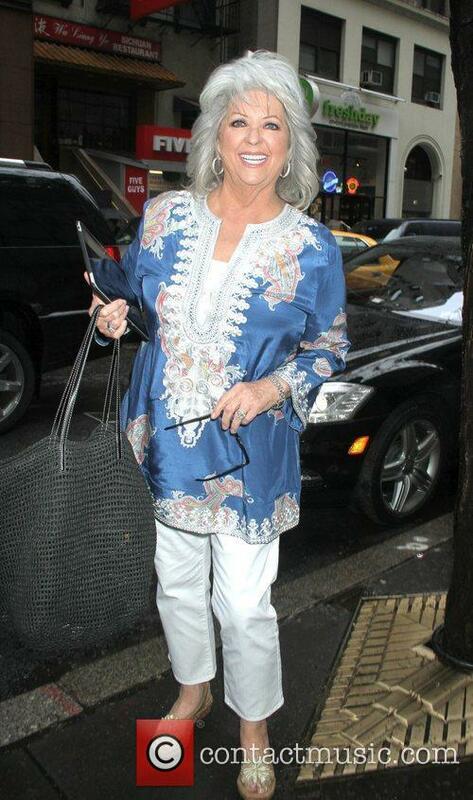 Paula Deen arriving outside the Today show studios in New York. Deen admitted to using the 'n' word in the past, an admission which prompted a media circus, placing the former TV chef under scrutiny. She lost numerous sponsorship deals including her slot on the Food Network. 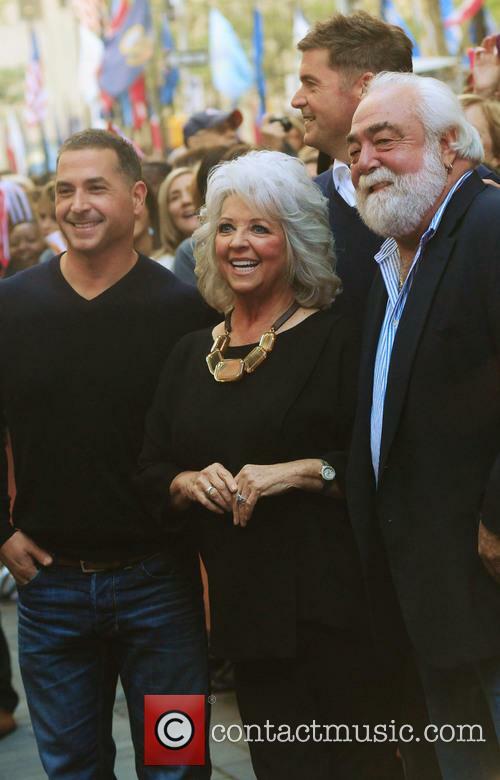 Paula Deen will not be appearing on 'Dancing With the Stars' despite the show's interest in casting her. Sources claim the TV chef believes "the dance floor is not an appropriate forum". Paula Deen has rejected an offer from Dancing With the Stars, according to a source speaking to US Weekly. Deen claims "the dance floor is not an appropriate forum", according to a source close to the Southern cook. 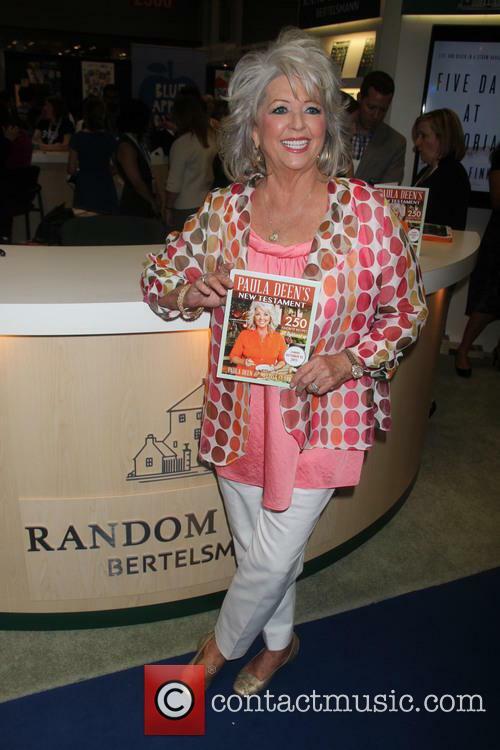 Paula Deen at the 2013 Book Expo at the Jarvis Center, New York. Deen seems to be staying out of the limelight following the scandal in June, which saw the TV chef dropped by a number of her sponsors and the Food Network. The scandal was caused by Deen's admission that she had used racial slurs. 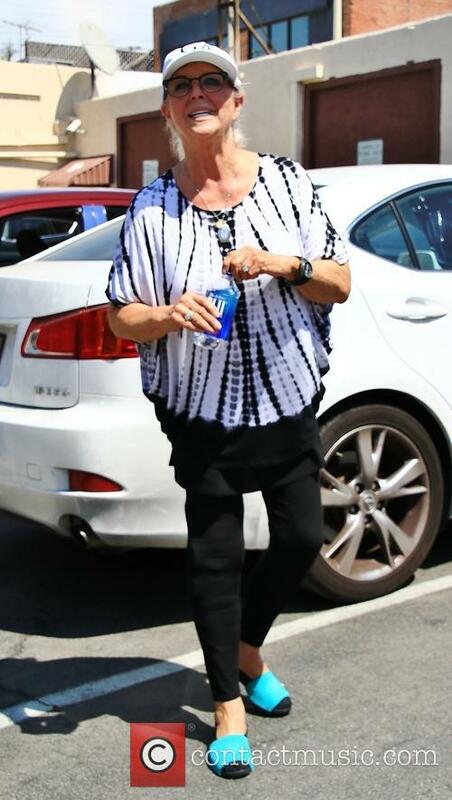 Continue reading: Paula Deen Deems 'Dancing With The Stars' Appearance Is "Not Appropriate"
Paula Deen has hired a new legal team to defend her in court. The harassment lawsuit filed by Lisa Jackson, which first brought Deen's comments to public attention, is on-going. Celebrity chef Paula Deen has replaced her lead legal team as the controversy surrounding her use racist language continues. Her new attorney, Grace Speights of Morgan, Lewis and Bockius, will be Deen's lead counsel as the harassment court case continues. 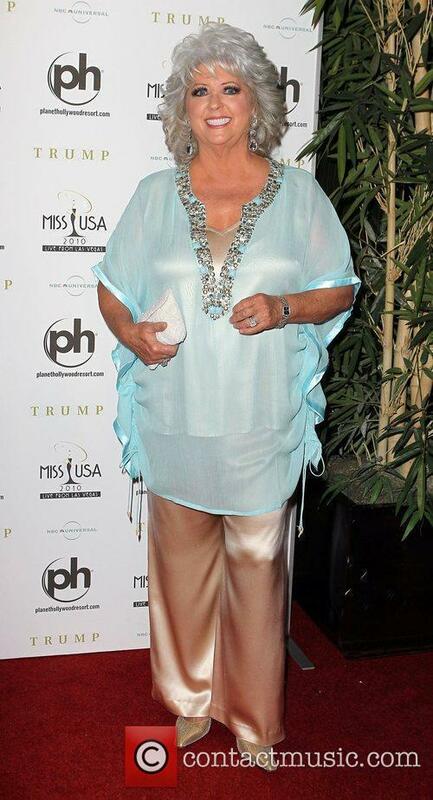 Paula Deen arriving at the 2010 Miss USA Pageant, Planet Hollywood, Las Vegas. The case first brought Deen's inappropriate use of language to light in June of this year. The lawsuit was filed by Lisa Jackson, once a manager of Deen and her brother Bubba's restaurant 'Uncle Bubba's Seafood and Oyster House'. Jackson claims she was sexually harassed and verbally abused. Jackson she and other employees were verbally abused and the restaurant's owners generally had an unacceptable attitude towards Black, Jewish and female employees, according to reports in USA Today. Paula Deen just can't catch a break at the moment; after seeing her celebrity chef empire crumble around her due to the details of a defamation-case against her being release to the public, Deen has also being getting blackmailed by a man who claims to possess some potentially ruinous information about her. The racist chef can put her mind a ease for now though because on Friday (July 5), the man in question was caught by FBI agents. The 67-year-old man, named Thomas George Paculis, was taken into FBI custody following a short-lived investigation that began when Deen alerted authorities that she was being held at ransom towards the end of June - a few days after it became known that she and her brother, Bubba, had used violence, discrimination and racism against a former employee. According to a criminal complaint filed on behalf of Deen, Paculis got himself involved in the situation on June 24, when he sent an e-mail to Deen's lawyer threatening "to go public" with certain details about the chef's use of the "N word" at Lady and Sons. The chef has terminated her professional relationship with Barry Weiner. Paula Deen has fried… pardon, fired her New York-based agent Barry Weiner, following her n-word controversy and its fallout, TMZ reports. Well, there had to be someone to take the fall for the debacle. In the two weeks, following the scandalous deposition, in which Deen admitted to having used the n-word and made racial jokes, the former Food Network regular has lost millions of dollars in endorsement and sponsorship deals. Wal-Mart, Target, JCPenney, Sears and K-Mart, among others, have all severed ties with the disgraced chef and no longer carry her line of cookware in their stores. Deen’s book publisher has also backed out of the contract. Maybe some new representation will fix things. Additionally, note the use of the word “former”. 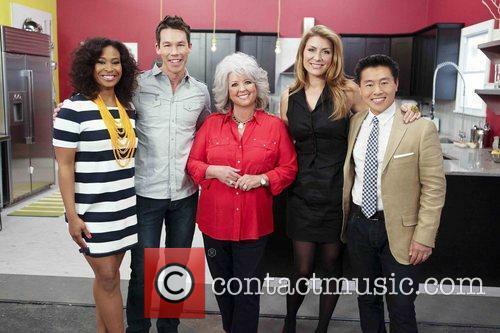 The first company to drop the butter-loving celebrity chef, was the Food Network, which cancelled Paula’s contract for her two shows – Paula’s Home Cooking and Paula’s Best Dishes. The chef had said on several occasions that Weiss was instrumental in securing the Food Network deal. The chef and her agent have parted ways. The words “PR fiasco” don’t even come close to describing the media storm around Paula Deen’s N-word scandal, so it’s no surprise that the ex-Food Network star is now on the lookout for a new agent. The butter-loving chef has reportedly dumped her longtime representative Barry Weiner. According to a statement that Deen’s spokeswoman Elana Weiss emailed to the AP on Thursday, while Deen is terminating her professional relationship with Weiner, she remains grateful for all his help with her career in the past decade. Deen has parted ways with her agent. Deen has said previously that her agent was instrumental in securing her first show on The Food Network, Paula’s Home Cooking, in 2002. However, in the wake of the controversy around Deen’s racist remarks and the subsequent blows to her career, it isn’t surprising that she is looking for new representation. 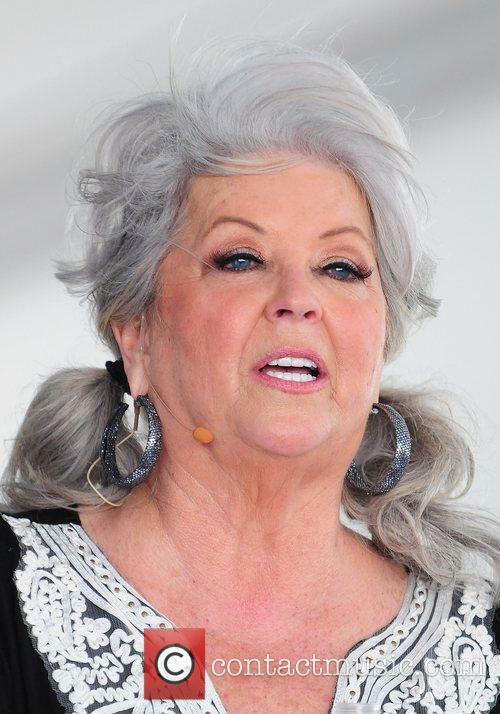 As Her Stock Continues To Plummet, Will Paula Deen Ever Be Back? If you're reading this, chances are you don't need reminding about why Paula Deen has been in the news for so long, but the question remains as to whether Deen's punishment is over or whether it has only just begun. As more and more sponsors drop her name from their products, and her TV days look increasingly numbered, things are looking terrible for Deen, but what are the chances, if any, of her regaining some of her former glory back at some point? Reality shows love a good washed-up celebrity who has had their lives fall apart, and maybe here - not in the immediate future, but soon - will Deen actually make a TV comeback. It will get people talking thats for sure and anyone who decides to hire Deen from now on, be it a TV show or just a road-side diner, will receive plenty of free publicity. In fact, the rate TV is going these days, does the idea of 'Paula Deen's Racist Cook School' really sound like that farfetched an idea? Someone would buy it. 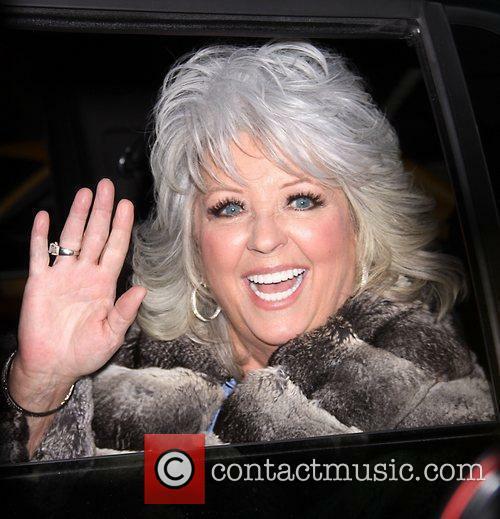 Continue reading: As Her Stock Continues To Plummet, Will Paula Deen Ever Be Back? More advertisers abandoned ship this week. The Paula Deen racism scandal has been an enlightening experience for everyone in the loop, not to mention the cooking pro herself. Apparently racism is not only terrible on every moral level imaginable, it’s also really bad for business. Case in point: Deen’s endorsement deals with various retailers across the states. Since the Southern chef’s admission to using racial slurs on a number of occasions, retailers have been backing away from her like from a burning casserole. This past week Sears (and their daughter company K-mart,) J.C. Penney and Walgreens became the latest retailers to drop Paula’s brand like a hot potato on Friday. Some of the other companies on Paula’s list of corporate exes are Home Depo and diabetes drug manufacturer Novo Nordisk – a partnership, which didn’t seem to make much sense to begin with. Deen has fewer reasons to smile these days. Not even her tearful interview on the Today show – on which Deen appeared this Monday after cancelling in the last minute last week – could help the situation apparently. At this point the celebrity chef, who, according to Forbes, raked in $17 million dollars worth of endorsements, public appearances and sponsorships in 2012, stands to lose around $7.5 million from deals with the companies – and that’s just in endorsements and licensing deals, according to the New York Daily News. The saga of Paula Deen and the racial slur continues - now with more butter. Paula Deen is in a bad spot. 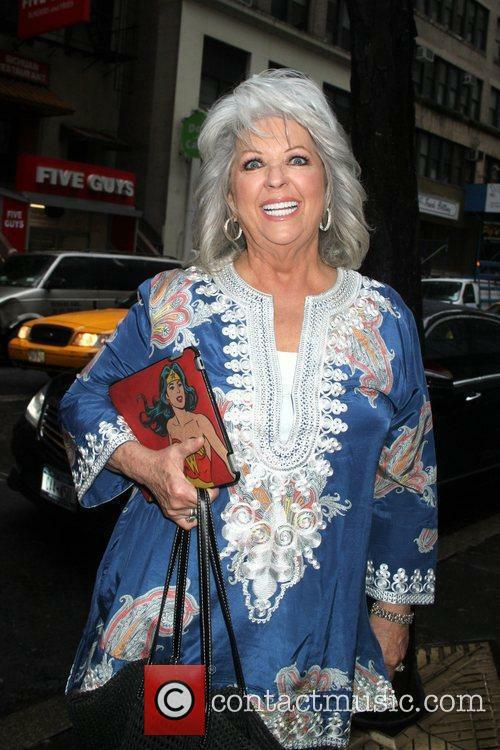 After her N-word controversy, apologies haven’t seemed to work and neither has Deen’s tearful interview on the Today Show – the sponsors are still abandoning ship, aka pulling out of endorsement deals and taking Paula’s merchandise off the shelves. After Home Depot, Target, and QVC pulled Deen’s brand of cookware off the shelves yesterday, today Sears Holdings – owner of store chains Sears and K-mart - have followed suit. Company reps stated for TMZ: "After careful consideration of all available information, we have made the decision to phase out all products tied to [Paula Deen's] brand." Paula is in hot water right now. Or would that be hot sauce? This means that Deen, who makes the majority of her earnings off branded goods, stands to lose millions in the wake of the racism accusations she’s been battling. It’s not all over and done with though, at least not with Sears, since the company has made the somewhat vague statement: “We will continue to evaluate the situation." 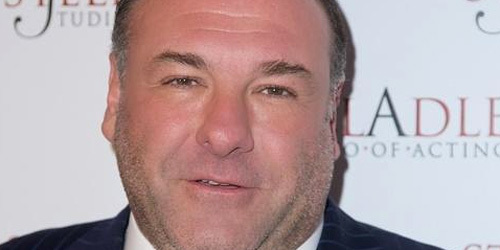 In an exhaustive week of celebrity news, tributes were paid to James Gandolfini, the late actor who played the legendary Tony Soprano on HBO’s long-running series The Sopranos. There was happier news for Kim and Kanye, who named their little girl, and Brad Pitt’s World War Z battled back to pull in millions at the box-office. Sleep Well, Tony: James Gandolfini, the actor who took dramatic television performances to a new level as Tony Soprano in The Sopranos, died this week aged 51. Gandolfini won three Emmy Awards for the long-running HBO series and will be sadly missed in both the film and television world. North, East, South, West: So Kim Kardashian and Kanye didn’t call their kid Kaidence. Phew. You can all breathe a massive sigh of relief now - but make sure you’re sitting down for this one. The girl’s name is North. Deen broke down during her belated Today show appearance. Paula Deen has been in heaps of trouble over her alleged racist comments recently – from getting dropped by The Food Network, to complications in the discrimination case against her and her brother. However, Deen also has her supporters and she isn’t letting minor incidents like that get her down. On Wednesday, she once again tried to explain her side of the story in a heartfelt (sort of) interview on the Today show – the same Today show she skipped out on last week, due to exhaustion. Deen is sticking to her story. Paula Deen's Son Is "Disgusted" His Mother Is Considered "Racist"
Controversy over Paula Deen's admittance to using racial slurs continues. The fired Food Network chef has been defended by her son, Bobby Deen, who spoke to CNN. 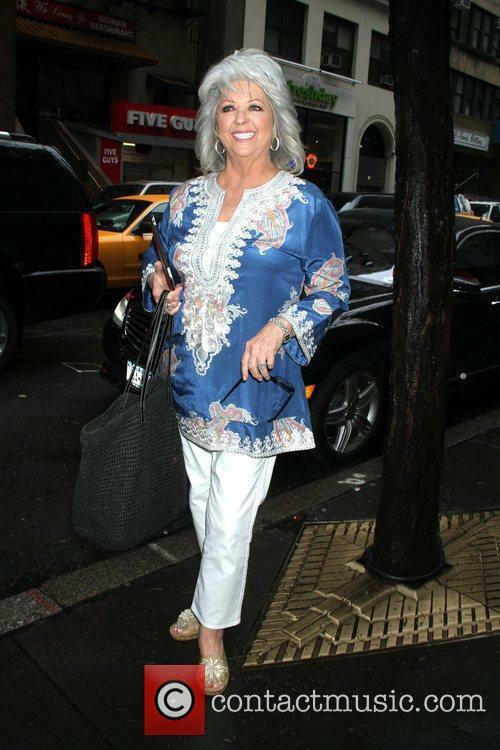 Celebrity chef Paula Deen was defended yesterday (Tuesday 25th June) by her son Bobby. Bobby said he was 'disgusted by the entire thing.' Paula Deen's contracts with a number of companies, whom she acts as a spokesperson for, have been cancelled after the chef admitted in court that she had, in the past, used racist language. The chef who held a Friday night slot on the Food Network has been dismissed. 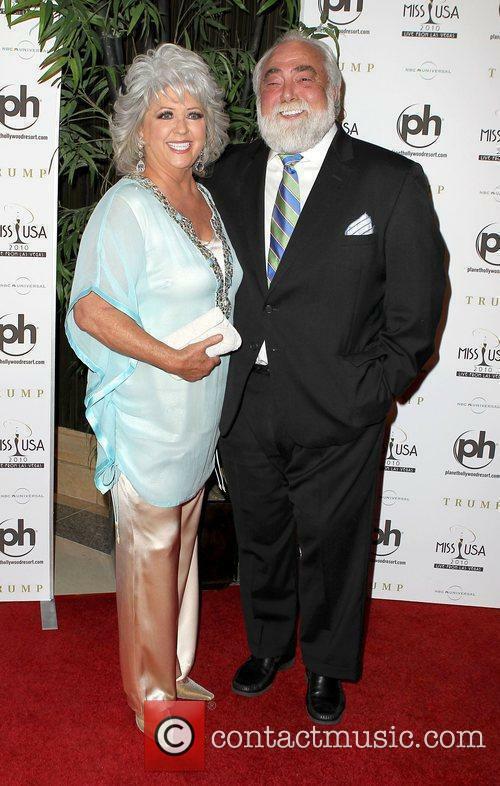 Paula Deen with guest appearing at Planet Hollywood in Las Vegas 2010. Bobby Deen spoke to CNN and used examples of his upbringing to show his mother was not prejudiced. His childhood hero was Hank Aarons, a Black baseball player who had to overcome racial prejudice in order to play.With regards to the 'N' word Paula Deen admitted to using, Bobby said "I abhor it coming from any person. . We weren't raised in a home where that word was used". Paula's past remarks have been dragged up as a result of this scandal. In a 2012 New York Times interview she made some unsavoury comments about a black employee and talked about the impact the abolition of slavery had on her family. Apparently Paula's great-grandfather, following the American Civil War in which he lost his son and his "workers", "went out into his barn and shot himself because he couldn't deal with those kind of changes". Continue reading: Paula Deen's Son Is "Disgusted" His Mother Is Considered "Racist"
Well if you needed definitive proof that Paula Deen isn’t racist, then it’s arrived in a statement from her sons, Bobby and Jamie Deen. If you’re looking for something a little more impartial, then we’d recommend you look elsewhere, something tells us these guys have a vested interest. "Neither one of our parents ever taught us to be bigoted toward any other person for any reason," Bobby Deen told CNN's "New Day" in an exclusive interview with Chris Cuomo. "Our mother is one of the most compassionate, good-hearted, empathetic people that you'd ever meet," he added. "These accusations are very hurtful to her, and it's very sad." In a recent court deposition, Deen admitted to calling someone a n*****. And the suit alleges racism in two of her restaurants. "I'm disgusted by the entire thing, because it began as extortion and it has become character assassination," Bobby Deen said. Jamie Deen added: "ridiculous, completely absurd to think there is an environment of racism in our business, and it's really disrespectful to the people that we work with. We have strong, educated men and women of character that have been with us for five, 10, 15, 20 years. To think they would allow themselves to be in this position is simply baloney. It's ridiculous." There is one hole in the son’s argument that Deen isn’t racist, though: she called a black person a n*****. She may have tried to justify it, but given that SHE CALLED A BLACK PERSON A N*****, it’s pretty difficult to escape the notion that she’s racist. Paula Deen, Food Network's southern cookery Queen has continued to lose sponsorship over her racial remarks scandal. Paula Deen has been dropped by another major sponsor, Smithfield Ham. A spokesperson for Smithfield Ham announced they would be releasing Deen from her contract. They said "Smithfield condemns the use of offensive and discriminatory language and behaviour of any kind". Deen's other sponsors including QVC and Kmart have considered removing her products from their shelves following her remarks. The Food Network dismissed the Southern cook on which she had a Friday show. Deen has taken her dismissal well and has even thanked the network. Another company who use Deen as a spokesperson are pharmaceuticals Novo Nordisk who have decided not to take any action against her. The cook admitted to using racial slurs in a harassment case against her by one of her former employees. Deen and her brother are accused of verbally abusing an employee and generally having an unacceptable attitude towards Black, Jewish and female employees. The incident has caused controversy as Deen admitted to using such language in the past. When you’re a celebrity chef, and it gets revealed that you called someone a n*****, and apparently stood by while people called a black colleague at your restaurant ‘my little monkey’, you can safely expect your income revenues from high-paying sponsors to dry up, and that’s exactly what’s happening to Paula Deen. It seems Paula Deen’s definition of today is a bit shaky, but she’s making her appearance on a morning talk show, which is better late than never after she dropped out of her appearance on Today on Friday (June 21). The celebrity chef is in damage control mode after causing a stir with her racism. "She has told us she will be here this time," Today co-host Matt Lauer said on-air Monday morning in announcing Deen would appear on Wednesday’s show instead of the one planned earlier in the week. She will be having a candid conversation with the guys on the show, as was previously planned, about the controversies following her around at the moment. Deen released a video statement on Friday addressing the controversy over her acknowledged use of racist epithets. The celebrity chef probably won't be able to work her way out of this one, as her career looks to be in ruins. Paula Deen's career looks to be at an un-mendable low, with the TV chef's axing from home shopping network QVC being the final nail in the coffin following the backlash towards her racism scandal. The network are said to be 'monitoring' the situation around Deen and will act in due course to determine whether her contract with the company remains in check or is thrown out. In other words, QVC are going to follow suit and fire Paula just like the Food Network did. The backlash against Deen began last week when court papers relating to a private interview between Deen and detectives were made public. The documents stem back to a 2012 discrimination case filed against Paula and her brother, Bubba, by former employee Lisa Jackson, who claimed that she was subjected to racial and sexual discrimination throughout her time working for Uncle Bubba's Seafood and Oyster House. Deen was in court to hear the charges brought against her last month, where she was questioned by an attorney under oath who ask whether she has used the N-word before, to which she responded, "yes, of course," though she added, "It's been a very long time." On Friday (June 21), the Food Network announced that it will not be renewing it's contract with Deen, which is due to run out this summer. The announcement came less than an hour after Deen had posted a video apology online in which she begged for forgiveness for her past mistakes and asked for a second chance. The top-comments on her YouTube video seemed to indicate that people were wiling to forgive and forget, however the Food Network - and QVC potentially too - aren't so forgiving. The hostess of "Best Dishes" thanked the network for all the good times. Former Food Network mainstay Paula Deen might have cooked up a world of trouble for herself, having recently been dropped by the network in light of her racial slur scandal, but fans have some some strong support brewing. Fans of Paula’s work are ralying around Facebook pages like “We Support Paula Deen,” which currently has over 200 000 likes, according to E!Online. 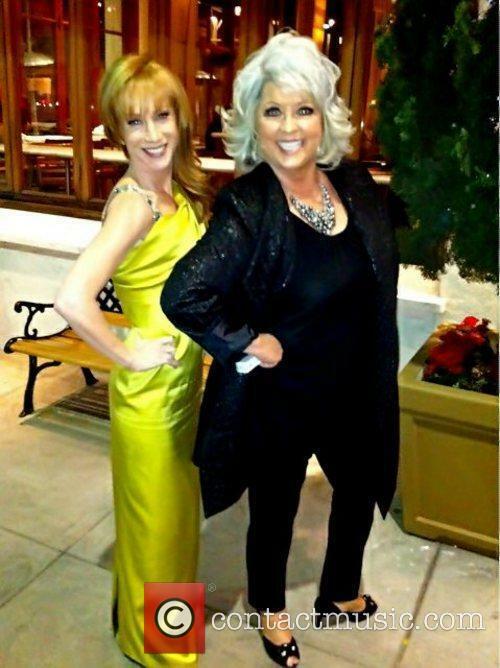 Despite Paula’s use of offensive language and the fact that her defense essentially boils down to the “those were different times” story, her supporters claim that the former host of Paula’s Best Dishes and Paula’s Home Cooking has made amends and should not be punished any further. One fan wrote on the Facebook page: "Recently Food Network personality Paula Deen has issued an apology for statements that she has made in the past. Let's support her as she moves forward from this time. Paula is a person just like all of us and we all make mistakes." Ms Deen herself apparently holds no grudges with the Food Network and even thanked her former employers at the news of the termination. "I have had the pleasure of being allowed into so many homes across the country and meeting people who have shared with me the most touching and personal stories," Deen, 66, said in a statement released to PEOPLE. "This would not have been possible without the Food Network. Thank you again. Love and best dishes to all of ya'll." Well, regardless of whether the pleas of American foodies will soften the hearts of Food Network execs, at least Paula managed to make a graceful exit – or as much as possible, under the circumstances. Deen has said that she is sorry, tut the Food Network say sorry's not good enough. Paula Deen will not be returning to the Food Network, the broadcaster said on Friday (June 21), confirming their decision with numerous press outlets. The announcement came just after the celebrity chef posted a video apology online asking for forgiveness from those who took offense to the news that she has used racial slurs in the past. Deen's fall from kitchen Goddess to KKK poster girl has followed her all week and culminated in the extermination of her contract with the Food Network, and it all stemmed from the leaking of some court documents in which the cook admitted to using the n-word on multiple occasions. Deen was speaking with an attorney questioning her under oath last month who ask whether she has used the N-word before, to which she responded, "yes, of course," though she added, "It's been a very long time."